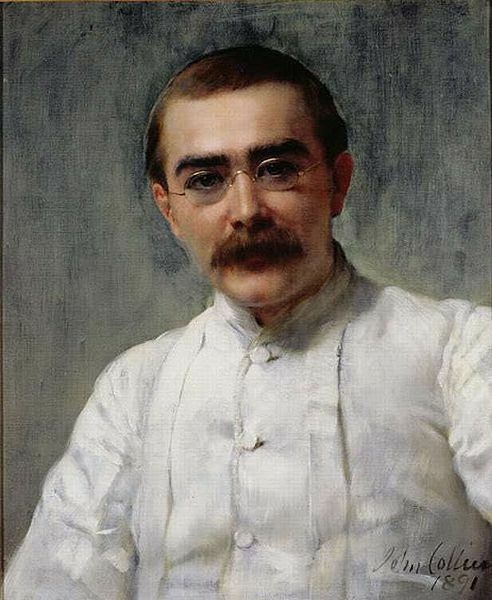 Kipling’s secret to good writing: "I Keep Six Honest Serving Men ..."
Whether it is a novel or a short piece for the local paper, writers do well to answer what and why and when and how and where and who? Returning home from my holidays in 2001 I found an envelope on the doormat containing a CD and a letter requesting I review it. Looking at Songbird’s brown cover design framing a photograph that was unintentionally out of focus, my expectations were far from high. But as soon as Eva Cassidy started to sing the opening lines of ‘Fields Of Gold’ I was nailed to the ground. This unknown singer enchanted me for 45 minutes until the closing notes of the final song ‘Over The Rainbow’. The letter told me that Eva had died at the tragically young age of 33 in 1996. Listening to the album a second time it was not only Eva’s voice that struck me, but her song selection as well. All possible scepticism disappeared immediately when Eva sang: ‘I’m going there to meet my Father, in that bright land of which I go’. Her interpretation of the lines: ‘The dreams that you dare to dream really do come true’ convinced me of the fact that Eva believed them. From that moment on I needed to know more about this remarkable woman. After the interview with Katie Melua I spoke to Daniëlle and Alice of Dramatico about the surprising notion that so many people were fascinated by the voice of Eva Cassidy, and yet we knew so little about her. Wouldn’t it be a good idea to write a book? The A&R agents agreed that this might be interesting, especially since the bottom of Eva’s song reservoir was coming into sight. A biography would certainly keep the flame alive. We agreed that I would look into anything that could be found about Eva’s life and that I would inform them about my progress. The Cassidy Family produced their own authorised book. Songbird gave the impression that family, friends and band members commemorated Eva Cassidy seemingly in harmony with one another. Many urgent questions remain unanswered, though. Why did a singer of her caliber remain unknown for such a long time? Why was she so popular in the UK and other European countries, while Americans passed her by with indifference? What about the visual art that she created, has it been displayed in a museum? Did she compose songs herself? Why did she still live with her parents at the age of 33? Could it have been possible to prevent her early death from the effects of skin cancer? Why did she sing so many gospel songs? High time to start my own investigation! The two most important people in Eva’s life were producer, band member and friend Chris Biondo and her mother Barbara. “It’s as if I lived in one house with Picasso without realising it,” said Biondo about Eva Cassidy. After the release of Eva’s albums Songbird (1998), Time after Time (2000) and American Tune (2003) he made several journeys to Europe, where he was interviewed on radio and television. Yes, he is Eva Cassidy’s ambassador. “It’s as if I have to protect her from the evil outside world,” Chris explained. “Eva was a vulnerable person during her life. She is no longer with us and suddenly she has reached stardom and that is something that doesn’t bring back the best in other people.” Chris revealed that the stay-behinds treat each other in a less harmonic way than the Songbird book suggested. I discovered a website about Eva’s art owned by Eva’s sister Margret and half-sister Anette. It was possible to order replicas of paintings, drawings and beads that Eva created on their site. In an email I introduced my investigation into the life and work of Eva Cassidy, and that I would like to contact people who had known Eva personally. This email hit target. Hugh Cassidy, Eva’s father himself, replied. We started an interesting email exchange – the queries and answers flew back and forth. Hugh answered dozens of emails in a rather candid manner. Barbara, who was born in Germany and experienced World War II there, wrote personal letters about that dark period. A few months later Eva’s brother Dan Cassidy wrote, completely out of the blue, that he would like to meet me. We found a suitable date: 23rd November 2009. Thanks to Dan’s mediation, I managed to organize a personal meeting with Hugh and Barbara Cassidy. Dan was staying at his parents’ home and he invited me to visit him there, so that he could show me where Eva grew up. A journey like that needed to be prepared in advance, and I arranged meetings with as many of the characters in this story as possible: friends, relatives and band members. 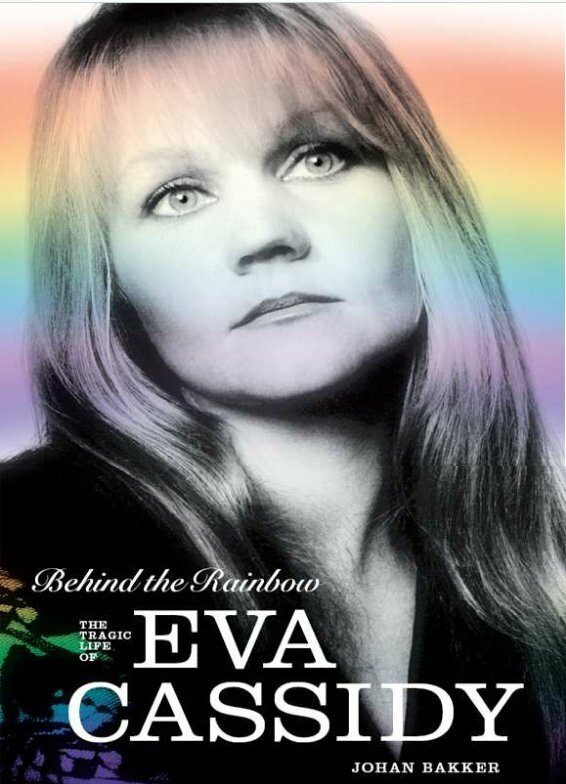 February 2012 my Eva Cassidy biography Behind the Rainbow was published. I focused on Eva’s artistic life (music and visual art), her friendships and her spiritual views. Any interview with a member of Eva’s close friends or family began with a question about her stature as a singer. But very quickly the tone changed to one of frustration over everything that has occurred since Eva’s death. In the aftermath of her all too short life came recognition. Here was an unknown artist and gifted singer finally receiving the acknowledgement she deserved when she was alive. Is Chris Biondo right in asserting that Eva was the best singer in the world? Yes and no. There have been more mature jazz singers than Eva, purer folk singers, more convincing gospel singers and tighter R&B singers, but no one singer mastered all these genres as well as Eva Cassidy. It’s about time that those concerned decided to bury the hatchet. 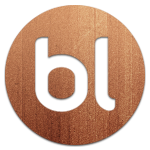 In May 2012 Behind the Rainbow won the People’s Book Prize, a British competition aimed at finding, supporting and promoting new works. Becoming a finalist of this prize was more than I’d expected. Winning it was simply beyond my imagination. Behind the Rainbow was written as a tribute to a woman who conquered misery by creating beauty. I hope that reading this biography will help people to understand and to appreciate Eva’s music. It’s about time that the world will honour Eva Cassidy as one of the most versatile, authentic and gifted singers the world has ever seen. Not because it is politically correct to say so, but because it is the truth. Dutch music journalist Johan Bakker (1961) studied English linguistics and literature, and submerged himself in the study of Art history. His focus shifted from making music to writing about music. 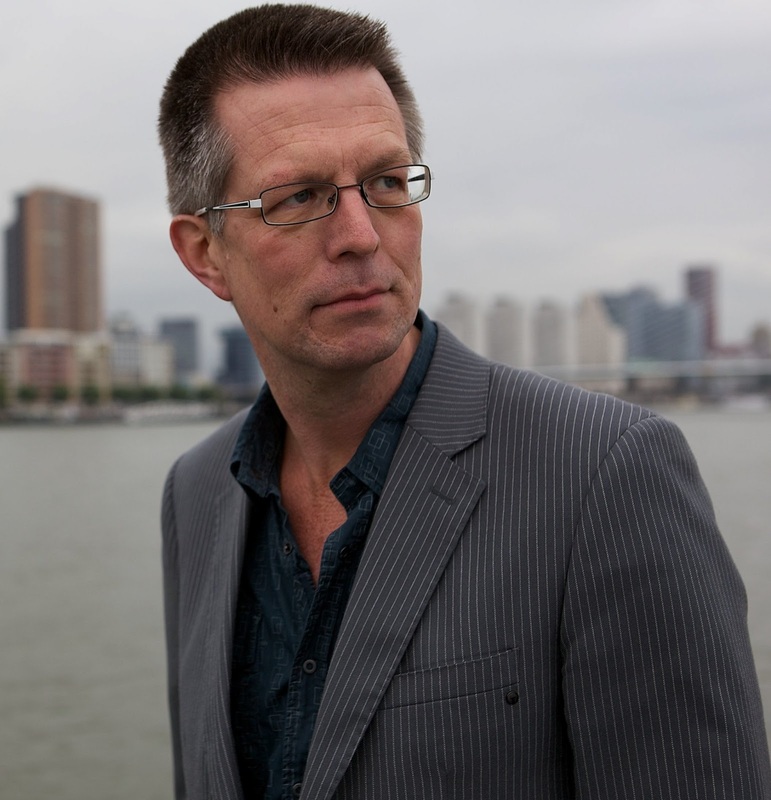 Johan published hundreds of concert and CD reviews, as well as interviews, and broadened his perspective to include literary fiction, film and the visual arts. Eventually, his love of art in general, and music in particular, culminated in a thorough study of the life and work of the American singer-guitarist, and artist, Eva Cassidy (1963 – 1996). The biography Behind the Rainbow is the crowning achievement on Johan Bakker’s work – for the time being. The ultimate Faustian tale of destruction, ‘City of Paradise’ charts the rise and spectacular fall of Kelly-Lee, a homeless runaway, Blake Colvin, a bisexual Christian, and Erin O’Brian, the long-suffering woman between them. What follows is a dark, often hilarious journey down the rabbit hole of fame with their struggling band Gutterpunk Kings, who must battle their demons, vengeful ghosts, and the dark heart which beats at the centre of their lives; a lethal love triangle which threatens to destroy them all. Not since Hubert Selby’s ‘Requiem for a Dream’ has a book so unflinchingly, incisively plumped the sweetly-scented, poisonous dungeons buried at the heart of the American Dream. Demonic children. A husband on the brink of insanity. A woman whose obsession brings her back from the dead...night after night. 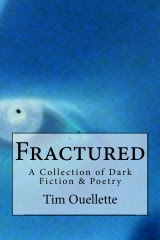 "Fractured" is a collection of horror fiction & poetry that seeks to delve into the darkest regions of the human mind. I write horror…and read young adult. I also write crime fiction…and read books on philosophy. Is this weird, or should this be the norm for writers who wish to inject a different flavor into their writing? I’d like to think it’s fairly common these days for writers of all shapes and sizes to at least want to “try on”, as it were, a genre or style that’s different from the one they’re used to. I know my views on horror fiction have changed dramatically over the years, both on the fiction that I read and the fiction that I write. And, while I enjoy a good slasher movie just like the next guy, when it comes to setting words to the page I like my horror fiction to have a certain amount of depth and meaning. Writers should be in the habit of reading widely (both fiction and non-fiction) in order to determine the type of writing they’re going to create and publish on a regular basis. 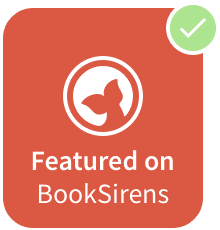 This cross-genre reading is something that, if you’re not currently engaged in as an author, you need to incorporate into your regular reading schedule starting today. Depending on the genre you’re currently writing in there may be one or more structures or forms used to identify said genre. These structures enable the reader to know that they are in fact reading a certain type of fiction. Yet in order to make this fiction readable (and saleable; after all, if a novel can’t be sold the chances of it being read fall exponentially), the reader must be able to recognize various aspects of different types of fiction: humor, romance, thriller, etc., and be able to incorporate these aspects into their current WIP (work in progress). Reading widely outside a given genre enables the author to wrap the “tried and true” in a literary “multi-colored robe”; it helps the author (and the reader, for that matter) to recognize the fact that categorical differences can add nuance and flavor to their work that might otherwise not be included. Cross-genre reading can also help the writer with character development. 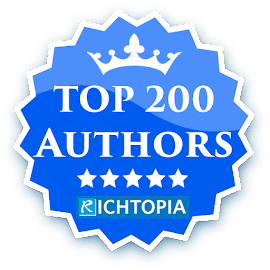 The characters in our stories, while often somewhat of an extension of the author, may be found to have traits and personality characteristics that are poles apart from the personality of the writer. In order to experience these different personalities and learn how to approach them from the perspective of a writer, one must learn to diversify their reading experience and surround themselves with varied forms of descriptive prose. I believe it’s natural for writers to create in a certain vein; some of us may simply be built this way, while others came about their genre of choice through trial and error. I am certain, however, that the books and stories we read as children played a large part in shaping and molding the way we looked at ourselves and our world, and thus were a part of the “creative spark” we carried into adulthood. Reading widely, both within and without one’s chosen genre, can only work toward making one a well-rounded and successful author and person. I live in the west of Wales, a country with a long history of conquest and occupation by Viking raiders, Roman invaders - and of course a succession of English kings. Not far from where I was born is Pembroke Castle, birthplace of King Henry VII, founder of the Tudor dynasty. I’ve always been interested in the stories of what life was like in early Wales, particularly in the so-called ‘dark ages’ when we had to rely on the oral tradition and writings of a few educated men. Thirty-two characters are a lot to establish, so I spent the first six chapters ‘setting the scene’. I realised I only had two roles for women, so came up with a sister for the Du Queen, a maid for the queen of the Gwyn and a ‘housekeeper’ for one of the bishops. I enjoyed finding authentic Welsh names for them all and learning more about how they would have lived. From chapter seven the narrative faithfully follows EVERY move in the legendary queen sacrifice game, known as "The Game of the Century" between Donald Byrne and 13-year-old Bobby Fischer in New York City on October 17th, 1956. It was a special challenge to make a promo video for Queen Sacrifice that explains all this in less than a minute and a half. It also needed a cast of thousands to recreate the battle scenes. I am therefore very grateful to the Epic Medieval Re-enactment specialists and film maker and editor Justin Osborne. In the future, on a distant world, Sean Archer seeks redemption by hunting the haunted forest for the little brother he so carelessly abandoned out of grief for the death of their mother. His only hope that the lost boy survived was if a pack of wolves had adopted him, for surely a two-year-old would never live for long in the great Mississauga Forest. I am very happy to have finished Beneath the Surface: The Lost Boy. The sequel, Long Lost Brother, will be out soon. I thoroughly enjoyed the writing process. I had some of these stories in my head since I was a teenager and to finally write about them and publish them is amazing! Once I began to type them into my computer, these stories exploded into an entire saga. The creativity just gushed out of me like Niagara Falls! I have most of the series finished already, but need to put the finishing touches to each book before I publish them. I have been working on this series for about eight years now and hope to get the third book out later this year. At first, The Lost Boy was a huge book with over 178,000 words in it. One literary agent said that was way too big for the first novel in a science fiction series, so I split this massive volume into two books. Part three of the first edition of The Lost Boy is now Book Two: Long Lost Brother. If you are one of the few who have read the first edition of The Lost Boy, you do not need to read Long Lost Brother. The next book in the series is book three, which was formerly entitled, The Triad, but has been changed. Wait and see! 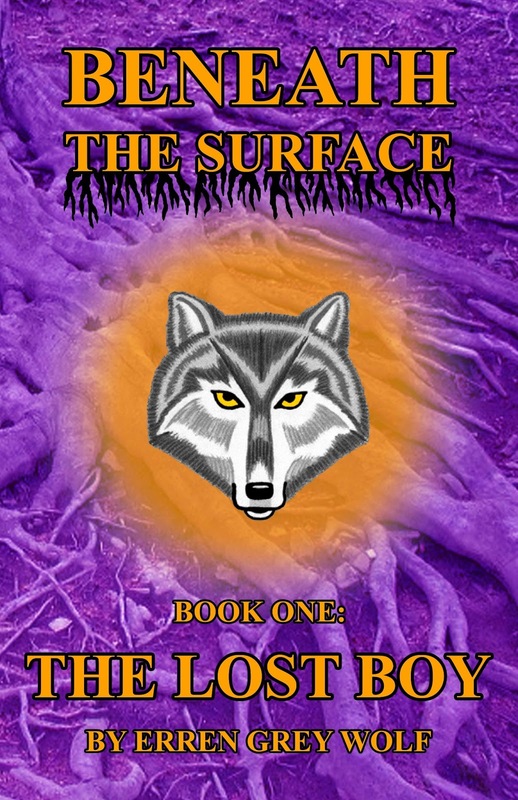 In Beneath the Surface: The Lost Boy, an unusual boy is born on a spaceship bound for the planet Midgard, but his very birth brings sorrow to his family. Out of grief for the death of their mother, Sean Archer blames and abandons his baby brother in the forest by an old oak tree. He goes away hunting, never realizing the full consequences of his heartless act. The mysterious Queen of the Forest finds the sad, abandoned child and comforts him. She notices he is able to see her subjects, the elementals (fairies) of her forest, and feels connected to him. While she holds the child in her arms, she gazes into his future, but upon witnessing visions of horrific events, she decides to steal him away into the Otherworld to protect him. When Sean returns and finds Erren gone, guilt strikes him down and he becomes repentant. 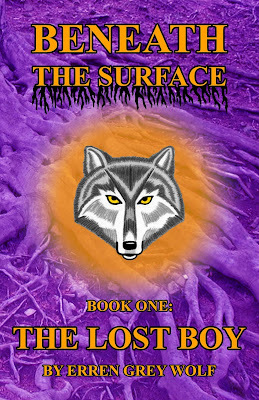 He sees his mother’s spirit and she tells him, “The forest took him.” Sean then begins his noble quest to find his lost brother, to right the wrong he had done, unaware his search is awakening his latent telepathic gift. Inevitably, he comes to realize the longer he hunts, the more he doubts his sanity. The forest becomes haunted and there is a battle of wills as the mystical Queen Elaya tries to stop him from taking her little boy.